After a tendon repair at surgery, the inter-operative picture before skin closure can be very helpful to the Physical Therapist helping to restore hand function. 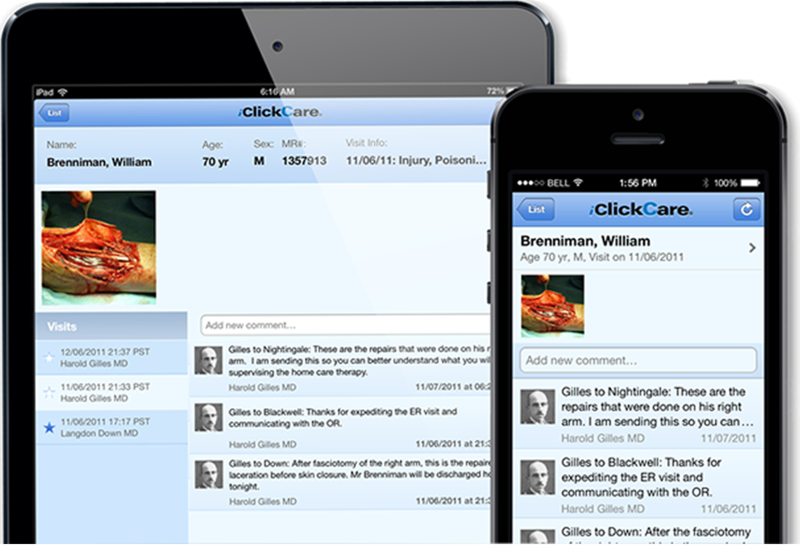 Using iClickCare, both the surgeon and physical therapist support each other's work, without nagging questions or confusion. The patient's care is expedited and Return on Investment (ROI) is maximized.